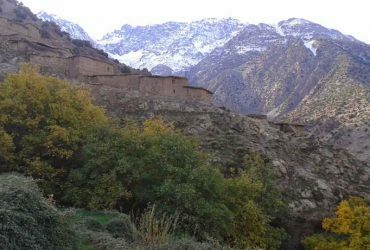 Atlas mountain trek: Beautiful 2-day hike in Imlil and Imnane valley from Marrakech offers a chance to discover Atlas mountain and Berber villages. 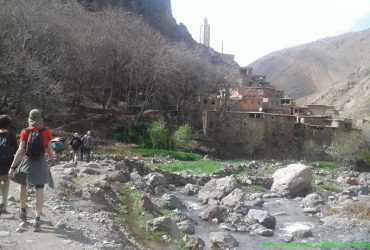 We will leave early morning Marrakech and drive to Imlil village in the High Atlas. 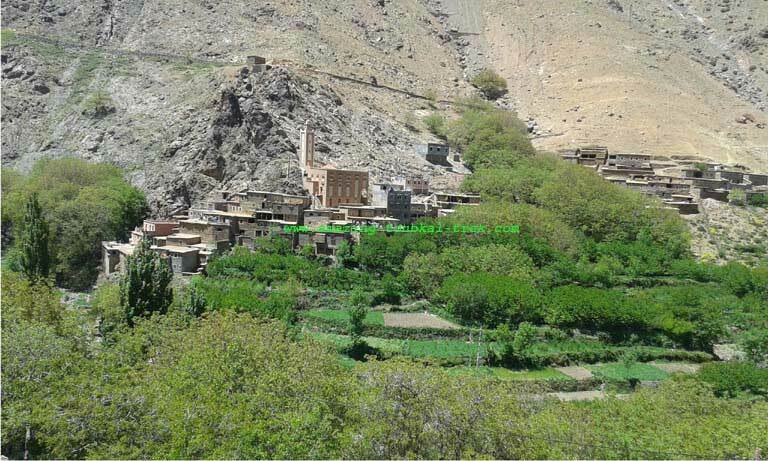 After around 1 1/2 hour we will arrive at Imlil village. 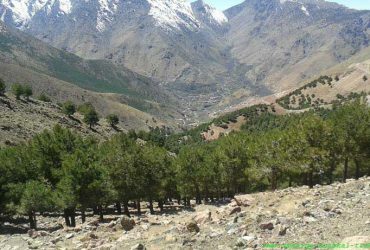 We start the trek into the mountains with our team of mules and muleteers, overlooking irrigated terraced fields of apple, cherry and Walnut trees, and vegetables. 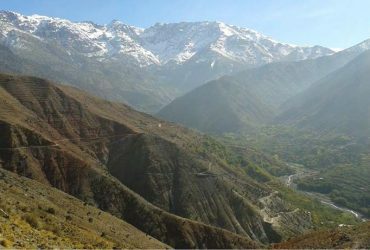 We get over Tiz n’Tamatar (22800m) where we will enjoy the view of beautiful Imnane valley. After lunch, we walk down to Imnane valley, and overnight will be in Ounssakra Village. 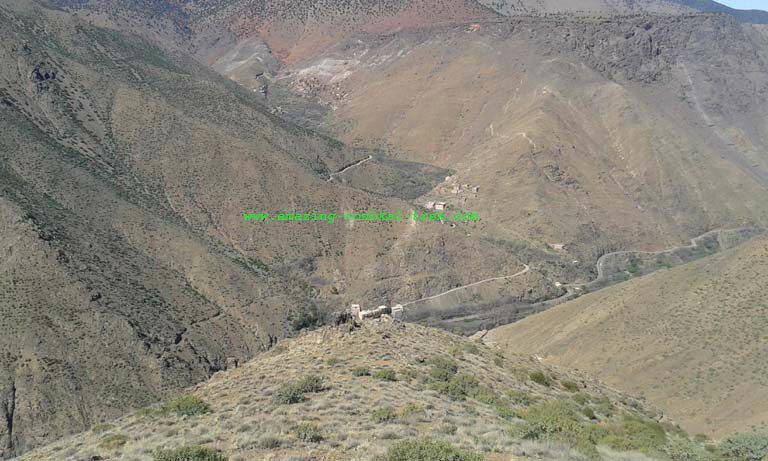 Next day we follow Imnane Valley passing through Berber villages then up to the Tizi n’Aguersioual (2000m). We set off following mule tracks down leading to the village of Aguersioual. We have lunch by the river before we head back to Marrakech. 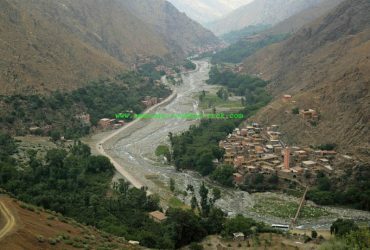 – Discover Atlas mountain valleys and Berber villages. 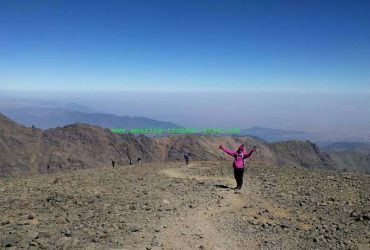 – Enjoy the breathtaking views of the high Atlas. The trek begins after a transfer from Marrakech to Imlil. 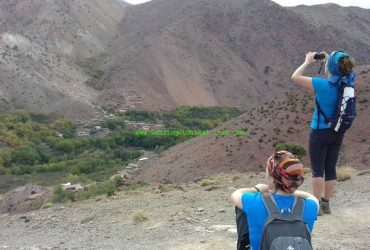 We trek to Tizi n’Tamatert to enjoy the wonderful panoramic views of the different ranges of high Atlas Mountain. We have lunch on the Tamatert Pass while enjoying the views of the beautiful valley of Imnane and mount Likemt. After lunch, we descend through the path of Imnane valley. We spend the night at the local Gite. 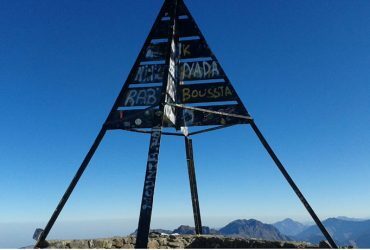 The duration of the trek is 4 hours. 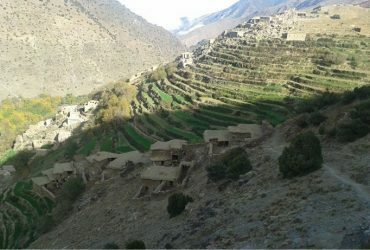 Immediately after breakfast, we follow the path through Imnane Valley and pass through the Berber villages. 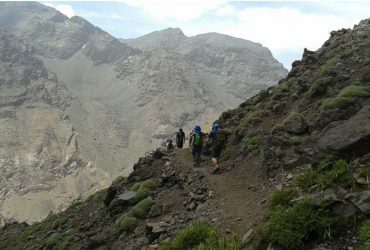 We head towards Aguersioual pass, overlooking Imlil Valley and Jebel Toubkal. We descend through the way to Aguersioual village. We’have lunch before returning to Marrakech. 6 hours trek. 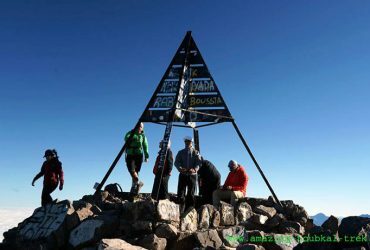 – Atlas mountain trek is available and can be arranged for groups of all sizes. 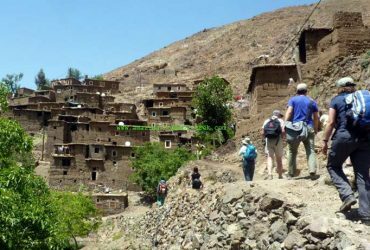 Atlas mountain trek: Walking starting from Imlil to discover Berber villages, and meet with Berber people. 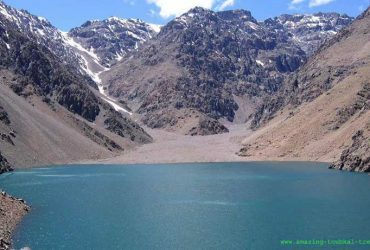 2 Days trek in High Atlas Mountain, Atlas Valley Trek, the 2-day hiking trip in Atlas mountain.